2019 will be an amazing season. In April the festival returns to Newbury with a solo piano recital by Michael Brown, recipient of an Avery Fisher Career Grant, member of the Chamber Music Society of Lincoln Center, and Marlboro Festival. 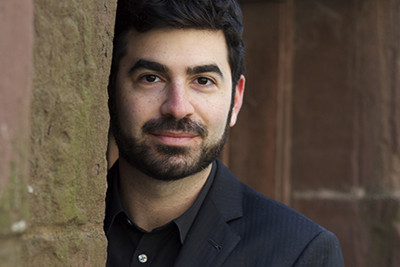 Michael is an award-winning composer and will perform some of his own works as well as pieces by Chopin, Liszt, Mendelssohn, Bartók, and Beethoven’s beloved “Moonlight” sonata. This concert is in a private home and the opportunity to sit so close to the performer is a unique experience; tickets sell out quickly (on sale in February). The performance will also feature a pre-concert interview with the artist. After the spring recital, summer is not far behind. As usual, the music will be a balance of the beautiful (Bach, Mozart), familiar (Ravel, Shostakovich), edgy (Bartok), and other-worldy (Dutilleux). We also have an exciting commission by Robert Bradshaw titled “A Day in the Life of Newburyport” (more on that in a later post). Following the cue of the world premiere, we’ll be playing in more locations around town than ever before. Indeed, during a week and a half in mid-August we’ll be ubiquitous and you’ll have to go out of your way to avoid running into the visiting artists around town in unexpected places. We couldn’t bring the beauty of chamber music to our community without the support of area businesses, cultural commissions, foundations and, especially you. Please consider Newburyport Chamber Music Festival in your charitable giving. Your support makes it all possible.Thank you!